Unique challenges of product based Online marketplaces! How to solve them? Numerous products selling online marketplaces or simply e-commerce platforms have tasted success. Behind such a success, there were many challenges that were overcome. This fact is undeniable. Before to analyzing what those unique challenges are, and how to overcome, let us look at e-commerce as an industry and what it means to owners of the website, the product sellers, the product buyers. The industry of e-commerce has been for a quite long time. Despite this, many new players are entering owing to the success ratio. As against the brick and mortar stores, e-commerce is cost-effective, brings huge profits and also offers benefits like higher sales and more options for sellers and buyers, respectively. However, success in this industry can be guaranteed only when an entrepreneur chooses a right script for creating their website. Also, many challenges have to be overcome to become successful. Below are some of the challenges mentioned and ways to overcome them. Interestingly, Marketplace software, a Buysell script, that can create an amazing e-commerce website has also the factors that can help you overcome these challenges. Trust isn't something that is built in one day. However, in the online world, trust can be won from the site visitors by making the first impression in a right way. Easy navigability of the site, better user experience, easy on the eye can win trust. By having all these properly, there should be no place for trust deficit between you, the owner of the e-commerce platform and your users – buyers and sellers. Also, availability of contact details, address will only add to the trust factor. 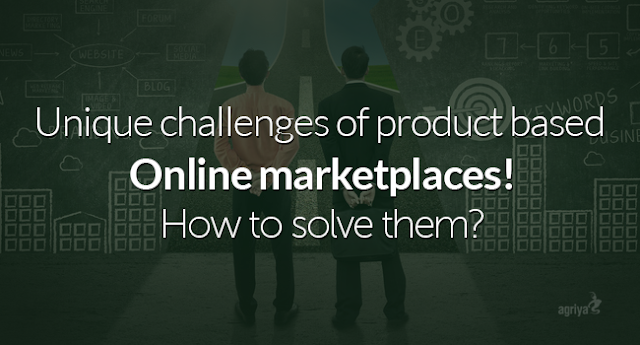 These are two major challenges faced on e-commerce websites. While the currency exchange rates are fluctuating, the unavailability of necessary payments methods can also come in the way of purchasing done by the sellers. Ensure your site have currency exchange rates features inbuilt. Having this feature helps buyers to purchase the product in their own currency. This way, they can easily know the value and worthiness of the product. Payment options like, whether to make payments using PayPal account or wallet has to be left to the buyer. So it is important that you have smart payment options in the script you select for creating and launching your e-commerce website. Launching an e-commerce website isn't the end of the story. Continuous efforts have to be placed in order make the site reach to the public. While the sellers have to show interest in making your site their preferred destination for selling products, the buyers too have to find your site the most sought-after for purchasing their required products. For this, marketing techniques have to be adopted. This is, however, challenging, if not practiced properly. The script you choose has to have SEO-friendly URLs, so that the website, once launched, will have better organic rankings in search engines like Google and Bing. With better rankings, the reach of the site would be higher. Social media has undoubtedly become part and parcel of everyone's life. Social media isn't just about branding your website on sites like Facebook, Twitter or Instagram, it is also helpful in making the shopping experience of buyers very pleasant. Without social media usage, no site can, in today's world, emerge truly successful. Ensure that you have social media connectivity and social media sharing options. Social media connectivity option helps users to Login to your e-commerce platform without having to register separately. They can just login using facebook or Twitter or any other ID. Social media sharing allows buyers to share the products on their social media accounts. This way the exposure of the products sold on your site will manifold. Many e-commerce sites run an impeccable website. They win the trust of users, provide pleasant user-experience, have all the necessary advanced features, offer better payment options and so on. However, the biggest challenge lies in Logistics. When a product isn't delivered on-time, it only results in the buyer getting annoyed. This is one major challenge that has to be overcome, otherwise, the users will desert the site in a short span. Features like Shipping policies, Shipping templates, Shipping management and Shipping status in the script help overcome issues relating to shipping issues. An hassle-free way for both buyers and sellers can be provided. Not just the above mentioned few, many more challenges have to be crossed for an entrepreneur to prove his or her success in the e-commerce industry.